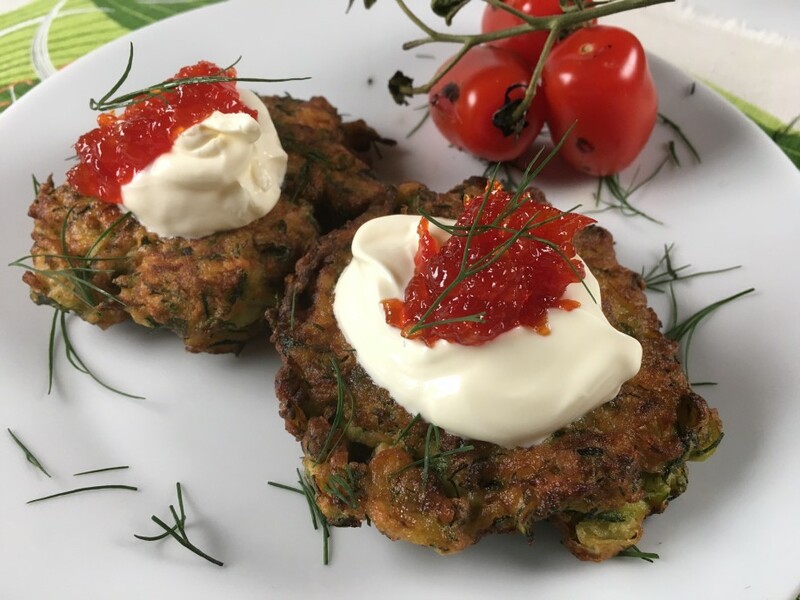 Caroline Barty's recipe for delicious courgette fritters. Makes 8-10. 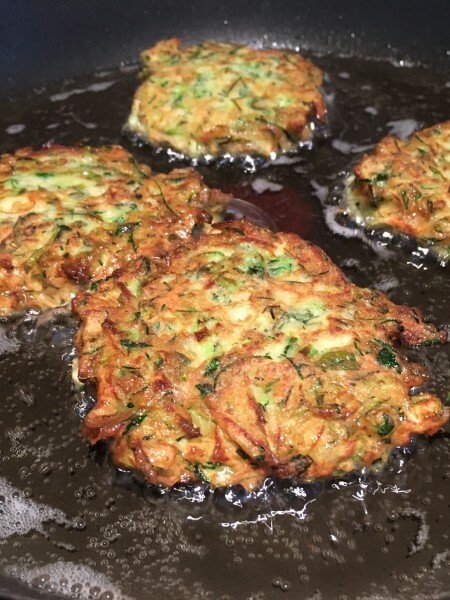 The gram flour in these fritters gives them an almost pakora-like flavour. In fact, if you wanted to up the spices –and maybe add a pinch of chilli for some heat- you could serve them as an accompaniment to a curry. I like them on their own, with a spoonful of crème fraiche and nugget of tomato chilli jam (see Larder section for the recipe). Or you could crumble over some feta or blue cheese. 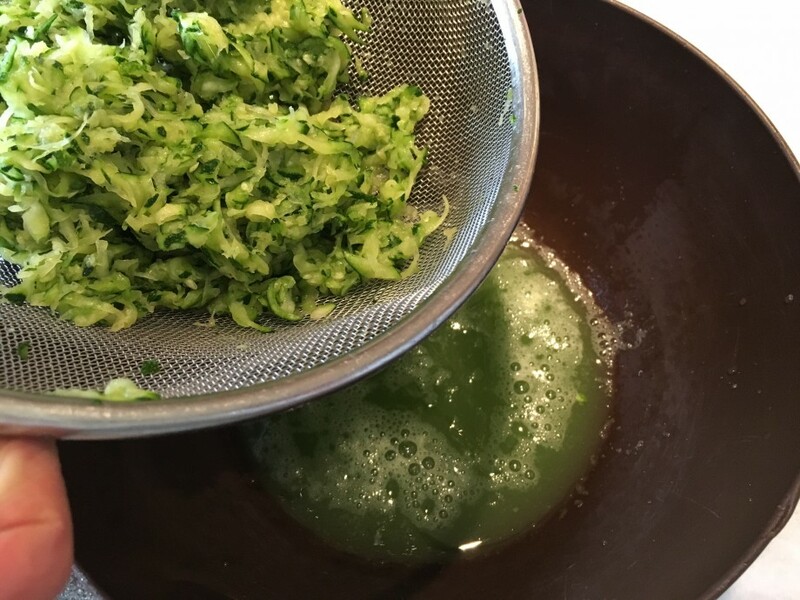 Coarsely grated the courgettes and place in a sieve. Mix in 1 teaspoon Maldon salt and leave for 1 hour. Squeeze out as much liquid as possible and pat the courgettes dry. 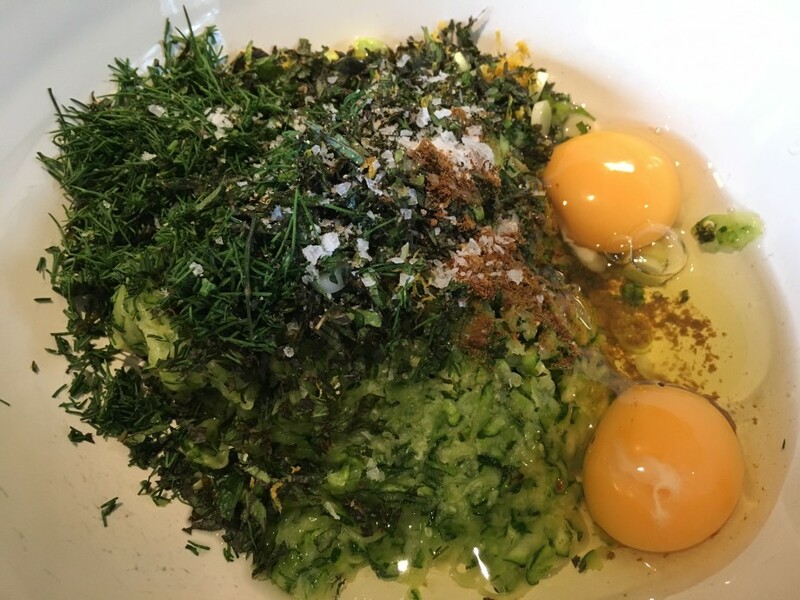 Tip into a mixing bowl and stir in the spring onions, herbs, lemon and eggs. In a separate bowl mix the chickpea flour, rice flour, baking powder and spices together. Mix into the courgettes and season well with salt and ground black pepper. Heat about 1mm oil in a large frying pan and carefully drop spoonfuls of the courgette mixture into the hot oil. Fry for about 1 ½ -2 minutes until golden brown then turn over and fry for a further 1-2 minutes. 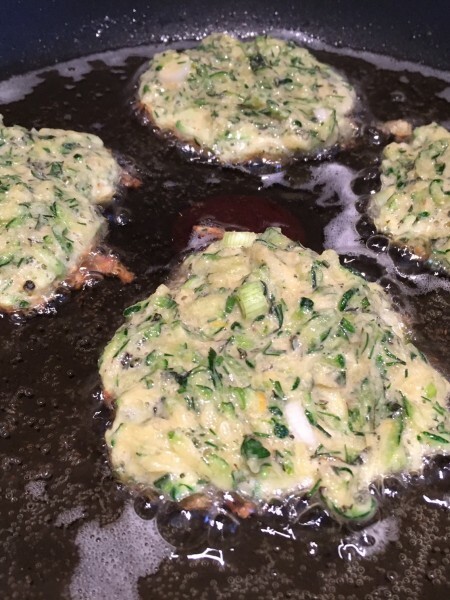 Transfer the fritters to a baking tray and keep warm in a low oven while you finish frying the remaining batter.